Those of you who have been hanging around with us here at I Heart Planners for a while probably know what time of year it is – it’s free printable week!! If you’re a planner junkie like me, let me see if I can guess what went through your mind when you read that sentence. Like, really truly free printables? 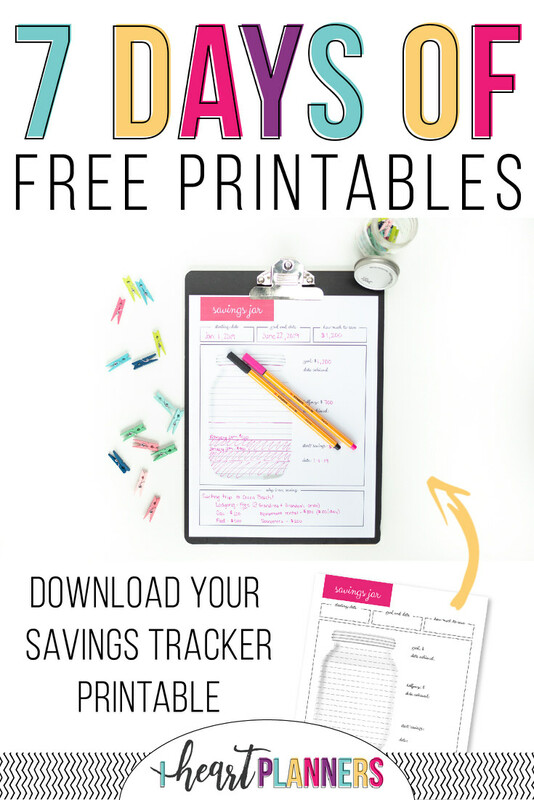 Or only free after purchase free printables? Well, friend, let me tell you, I’m about really truly giving away, for free, no purchase required, printables! It isn’t too good to be true, because you’re here reading this, and it’s true! All of these printables come straight out of the Sweet Life Planner Club, so if you love these sheets like we do, we’d love to have you join us in THE club for planner junkies, busy moms trying to get organized, and the empty nesters looking to finally settle back into a productive and empowering routine. We’d love to have you join us! But for now, that’s enough about the Club. 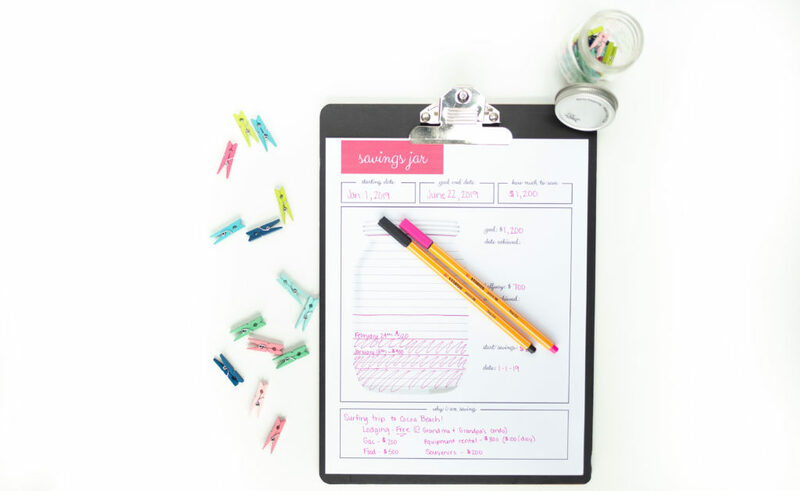 I’d like to kick off this week of free printables with a very popular printable I created last year called the Savings Jar! I love having a visual representation for the goals and ideas in my head, and this is a great way to truly see your savings grow on paper! Whether your goal is to save $400 for a new TV or $40,000 for a downpayment on a new house, this cute sheet will help keep you on track and motivated to reach your goal! I’ll see you tomorrow with a fresh new printable! Day One: You are here! The membership for $20.00 a monthly is a good plan for me the issue is I don’t get funds until 31 Jan 2019, the question is can I still join the membership still available past the date of expiry? I want to become a member?